I’m Synthweaving my Way to the Poorhouse! 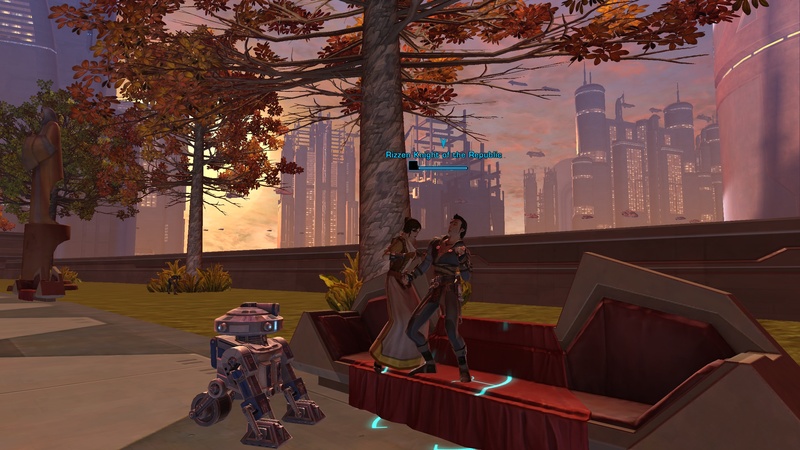 Perhaps I can take up Cantina dancing to pay for my speeder? 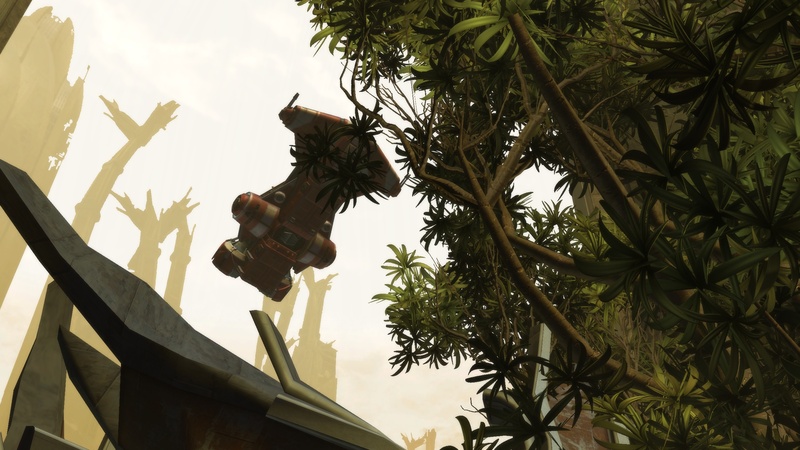 I ended my SWTOR adventures today at level 20, and no closer than 1/3 of the way towards the speeder I’ll want to purchase at level 25. This vexes me because in that other MMO I play, I’ve never had a character be unable to purchase their transportation at level, even with keeping my professions leveled up with my character. But as of now, I am going to have to hoard my credits until 25 to see if I can make it to being able to purchase my speeder training and my speeder. Most unfortunately I think I will just be fast walking my way around, getting the smackdown handed to me. This really should not be the case. But I have had to spend cash on archaeology missions due to the sheer volume of bugged archaeology nodes I’ve seen in my travels. I get excited about a node on my map ,clear my way too it, then find it’s not able to be collected. Rinse and repeat for about 60-70% of the nodes I saw today on Balmorra. 1) Skip out on the Underworld Trading missions unless you are dead set on making yourself one of the low level fully moddable clothing items and need the special materials. 2) Stock up on the fibrous nylite solution when you visit your first crew skills vendor. You are going to go through this stuff like mad, so buy 20-30 the first go round so you have it on hand. 3) Go out of your way in search of archaeology nodes whenever one pops up on your mini map. Yes, many of them are bugged, but you will need every mat you can scrounge up, so worst case scenario, you’ve gotten a few more credits and a smidge of XP. 4) If you get stuck, use your archaeology missions judiciously. I suggest saving them up for when you need the artifact fragments, or when you are in the transition phase between level 1 and level 2 crystals. 5) Free up your bag space by storing your crafting materials in your cargo hold. Your companions can easily access them for crafting but they won’t keep you from picking up all the grey trash you can find to finance this little venture. I have to also note that companions are supposed to be able to go and sell your greys for you, but it has been my experience that more often than not, my companion will not, in fact, toddle off on this task. The request seems most likely to fail when underground or in a special quest area. I believe that is a known issue so cross your fingers our little minions are back on taking out our trash soon. I had 2 big goals for my BETA time, in addition to just getting a feel for caster game play and gaining familiarity with companions as party members: 1) to see how far I could get with leveling my professions, and 2) to earn my spaceship. Happily, despite having to work for half the BETA weekend, I was able to make great progress against these goals. As soon as you complete the first portion of your class quest, and get sent off to the Fleet, at level 10 or so, you are able to start training your professions. Special note: if you go ahead and talk to all the trainers as soon as you arrive at the fleet (only accepting those skills you actually want to train, mind you), you can earn a nice chunk of experience. There is a great visual that shows the best skills to pair with each other to maximize your leveling ability. You may only train a total of 3 crew skills per character, which may be any combination of gathering skills, a maximum of 1 crafting skill, and mission skills. I went with Synthweaving, Archaeology, and Underworld Trading. In other games, I’ve often taken up tailoring, so it was no surprise that I chose to go with Synthweaving for my cloth wearing caster. I like having the ability to craft gear upgrades for myself, and have typically found the rare or better crafted gear to sell pretty well, especially in the early days of a game/expansion. I ended my BETA time with a skill of 160 or so in Synthweaving (I had an annoying keyboard not recognized problem as I was wrapping up my BETA time and neglected to write down my final #.) I was able to easily finance this leveling, at level 16, through selling a few world drop items, and making 6 blue quality belts and gloves, which I put on the auction house for 1200-1500 credits. Despite buying a few rare quality cloths from the auction house in order to do this crafting, I ended up with 8500 credits at the end of my professions leveling spree. I also suggest making a blue quality item that will give you skill points whenever you have the special materials on hand that are required. You can obtain those special materials from some of your more expensive Archaeology and Underworld Trading missions, however, you will soon run into Fibrous Nylite Solution, which is an item you can purchase from any Crew Skill Trade Vendor, as is Thermoionic Gel Suspension. One of the nice things about Archaeology, is once you get out into the world after level 10, you should be seeing crystal nodes as you go about your everyday questing. Although I did spend a good chunk of time sending my companions out on Archaeology missions to get up to 100 or so in skill, I also raked in a ton of power crystals as I walked around completing quests. You are able to send your companion out to complete archaeology missions whenever you’d like. I personally kept my companion at my side for questing, so I could more effectively handle large packs and heroic quests by myself. But whenever I was zooming back to a capital city, I sent him off on an errand. Who knew bossing around my minions would be so much fun? Ahem. 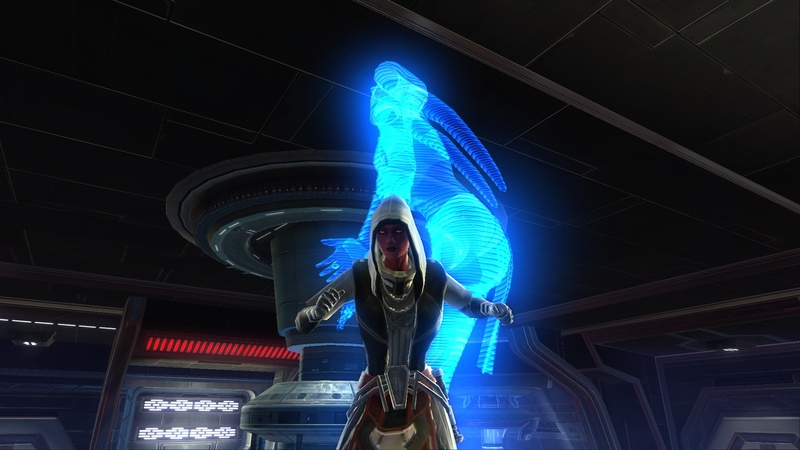 I mean, it was a very rewarding bonding experience to allow my companion to do my bidding. Oh nevermind– I think you are already seeing why I am going Sith. There are two key factors that will help you decide which missions to send your companion out on — the cost and the potential end result. The cost to send my companion out on the mission started at 95 credits, and topped out at 295 credits. You receive new missions to send your companion on as you increase your character’s level, starting with 4 missions available to you at level 10. I found that I eventually had an archaeology skill level above the level of items available to me for completing the missions, but that was only due to some serious focus on profession leveling. Moderate yield missions can result in a return of 1 or 2 items upon completion. Bountiful yield quests were often 3-4 items in total. But it is important to note that on occasion, my companion would come back empty handed, especially when sent out on a bountiful yield (and more expensive I might add) quest. Underworld Trading was the more vexing of all the crew skills for me. Mission times started out being relatively short (3 minutes) and increased to 6 minutes over my small leveling journey. Now before you say “Aw, Anexxia, you are just too impatient!” let me remind you that these quests can fail. And somehow, it seemed it was always the 275 credit 6 minute quest that would fail. In the BETA stress test weekend, quests would note that they could result in either Underworld Metals or Grade 1 Luxury Fabrics. Under that design, I found I most often ended up with metals, and had to buy my cloth from the auction house. I believe the last minute professions fine tuning has broken the rewards down to separate them out, which will be helpful for maximizing your mission time and credits to enable you to obtain the raw materials you want for crafting your preferred items. Due to the longer amount of time and greater credit cost per mission (starting at 95 but quickly headed into the 200s), this was the skill I got the least far (only mid 40s.) I have a feeling I’ll end up falling a little behind on this one as I level, but the upside is I think there will be a good auction house market for the cloth and metals if I don’t need to put them to use in my synthweaving. See you in the game soon! 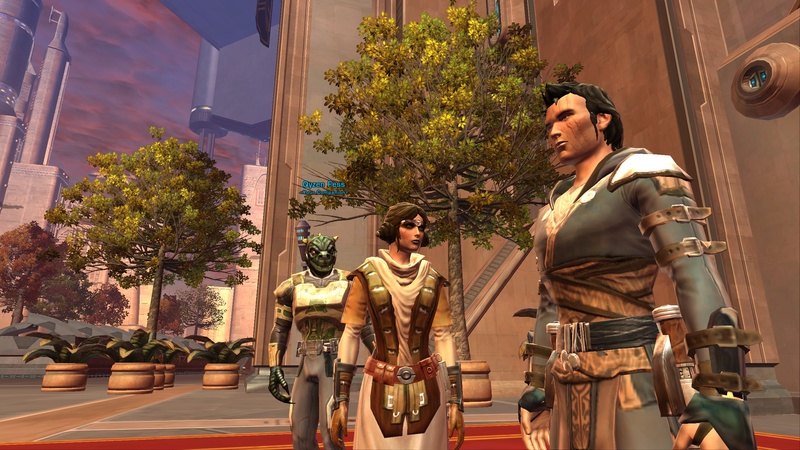 SWTOR Professions: What to Choose for My First Character? Crafting is always one of my key motivators when leveling a character. I get excited about finding or training new recipes, and improving my character as a result of my crafting profession. And over my years of playing World of Warcraft, with my and my SO’s army of alts, I’ve gotten really used to having all my crafting needs covered in-house. 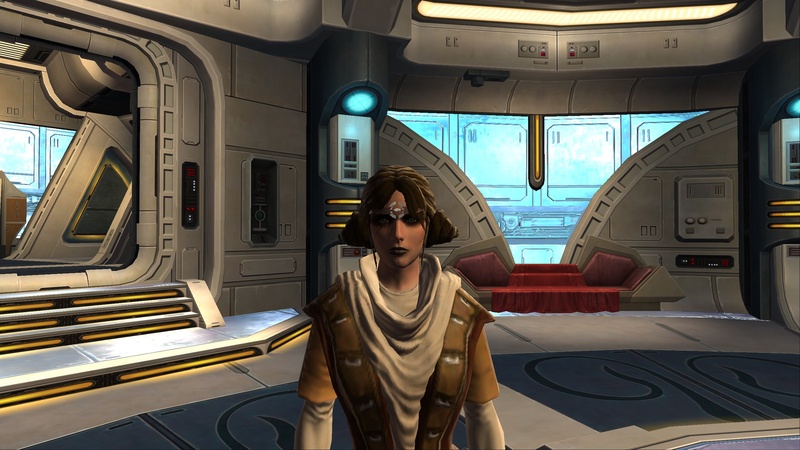 But, since you can only pick a total of 3 skills (across Gathering, Crafting and Mission Skills) for your crew to take on, it will be quite a while before that’s the case for me in the Old Republic. Which means deciding what profession to pick up first takes on some significant weight. Armstech, constructing blasters, blaster rifles and upgrades. 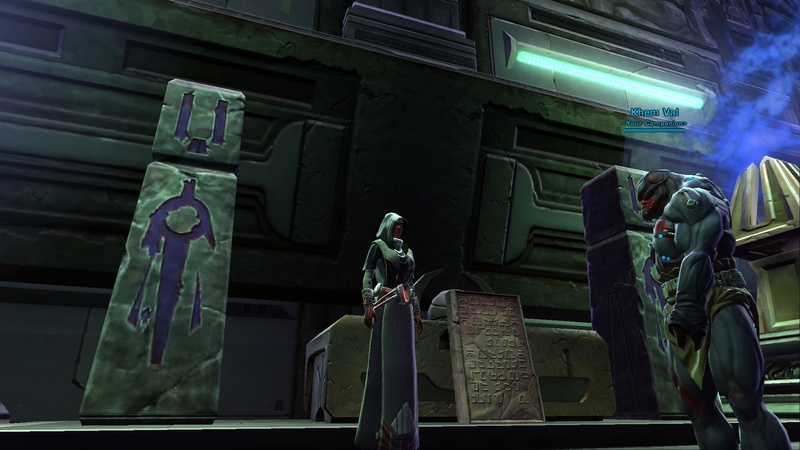 Artifice, constructing Jedi and Sith artifacts, including crystals to change your lightsaber’s color, and item enhancements. Biochem, engineering of performance-enhancing chemical serums and biological implants. Cybertech, constructing gadgets and components for Droids and high-tech armors, including earpieces and armor upgrades. Synthweaving, creating lighter outfits and armors that are imbued with supernatural qualities, for Force users. You are limited to a total of 3 Crew Skills, with only 1 allowed to be a crafting skill. For this reason, I am thinking I’ll go with Aracheology, Synthweaving and Diplomacy Underworld Trading on my Inquisitor. I always like being able to make myself (and my friends) good quality gear at max level. Both of my max level shadow priests in World of Warcraft are tailors, so I am used to the cloth grind and the money sink. Thankfully, through reverse engineering of my completed goods, anything I don’t end up wearing can be ripped apart to recover at least some of the materials it took to make it. I’ll be participating in the BETA testing this weekend, and hope to actually have a stable enough server to get a character up to the 8-10 range so I’ll make it to a town with profession trainers to get my first hands-on look at the professions.